The food blogging community has been so kind and encouraging since I started my blog. I recently met Tammi from Momma's Meals when she emailed me to participate in her Featured Fridays on her blog. 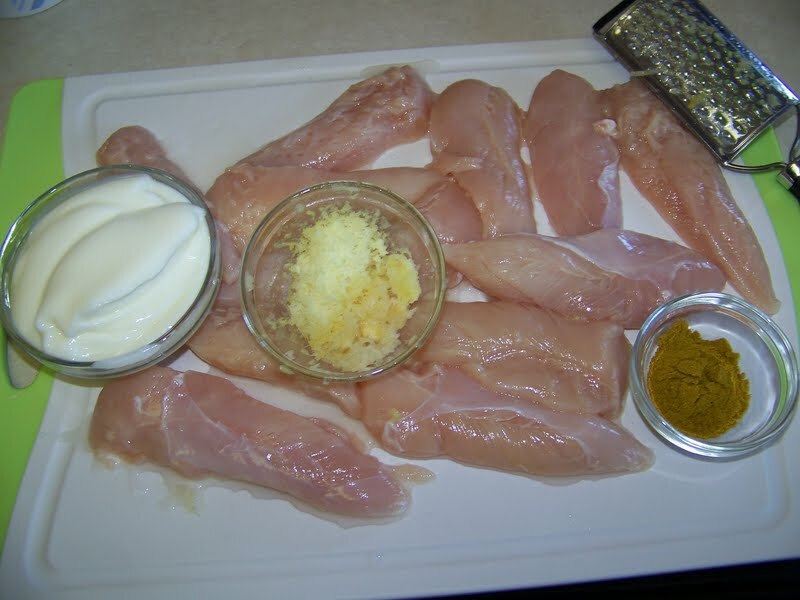 Tammi's Featured Fridays showcases a blogger's recipe when she cooks it at home. 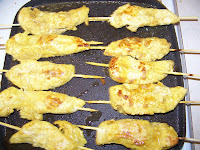 After looking through my recipes she settled on making these Chicken Satay Skewers with Spicy Thai Peanut Dipping Sauce. I remembered how much my family loved them and they really are fun and easy to make so I think I will make them again very soon. Check out Tammi's version of these satay skewers and hear what she has to say about the recipe. Mix all ingredients together and marinate in the fridge for 2-4 hours. When you are ready to cook the satay, tread them on bamboo skewers. 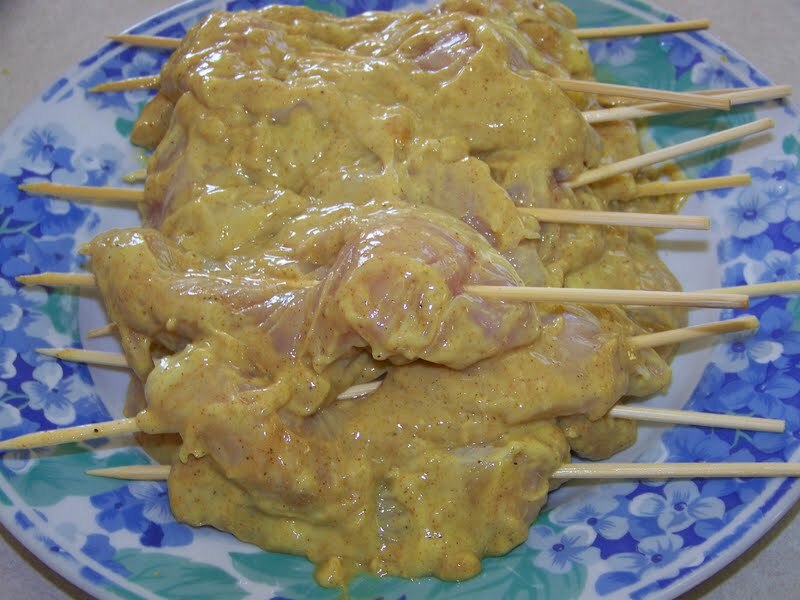 Remember to soak the skewers in water for 30-45 minutes before you thread the chicken on them so they don't burn. Get a grill pan hot with about 1 Tbs of canola oil. Place the skewers down and cook both sides for 3-5 minutes (or until cooked through). Directions: Heat a saucepan on medium-low heat. 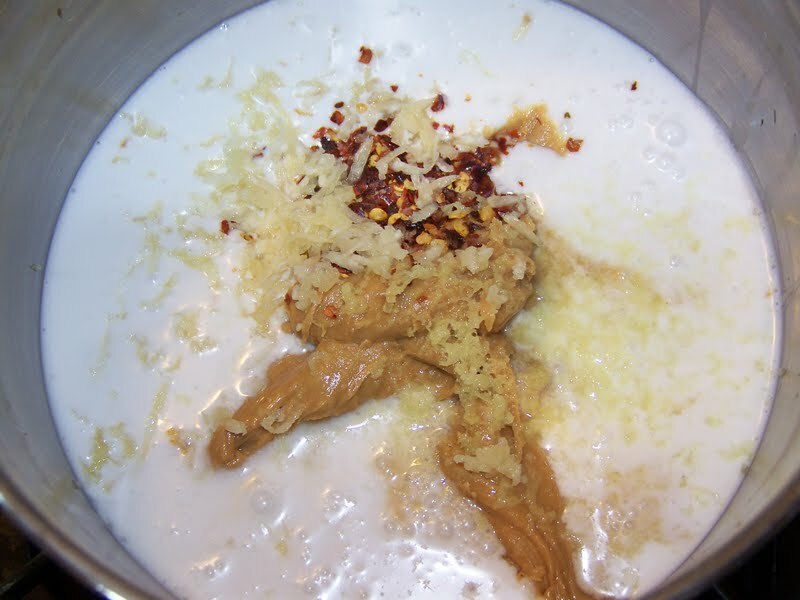 Add all ingredients and stir until everything mixes well and the peanut butter melts. Allow to cook a few minutes and thicken. Adjust flavors/seasoning to your palate by adding more soy sauce or fish sauce for a saltier flavor or brown sugar to sweeten it. Serve hot or room temperature. Enjoy. These look like they shoild be our dinner today. Would have to make a different sauce for Gabbi, she is allergic to peanuts. 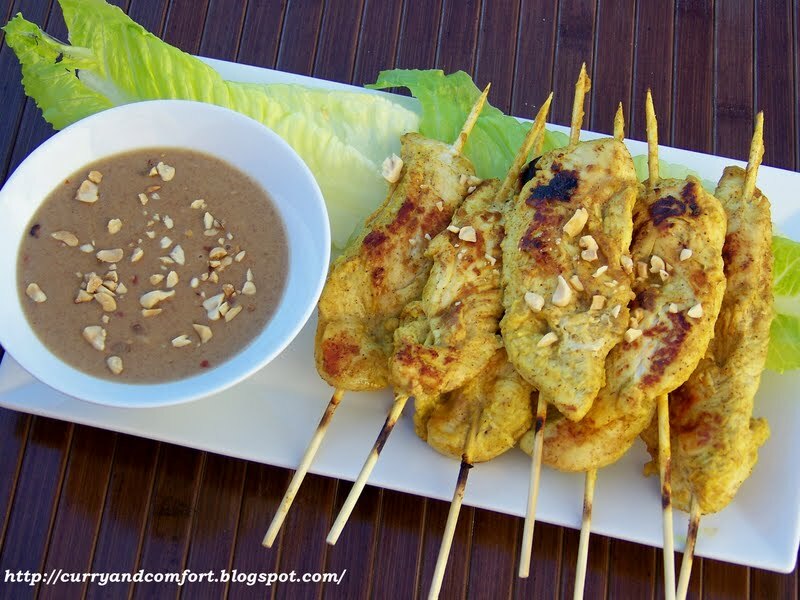 Chicken satay is one my favorite,the spicy peanut sauce sound simple and tasty,Yum !! This is a great summer grill dish that is gluten free! I will be making this one for sure! Thank you for sharing! This is one of my all-time favorite appetizers. Mine never look this good, though! 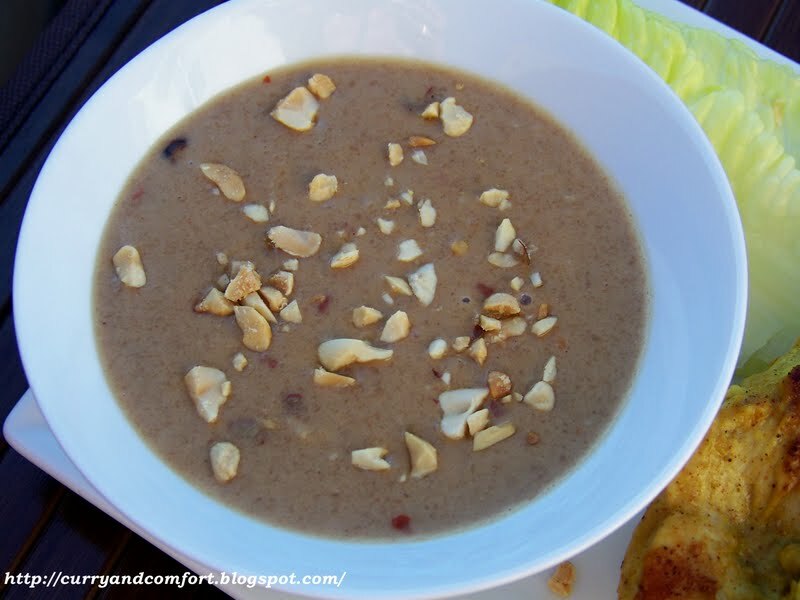 OMG, my husband is going to go NUTS for this peanut sauce! Great recipe and easy enough that even I might be able to make it, thanks for sharing! These look so good! I'll be adding this to my grilling repertoire along with teriyaki chicken skewers. YUM!!! 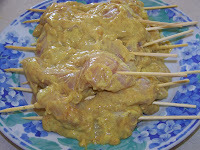 Your satay looks a lot better than some I bought at a restaurant a couple of weeks ago! I'm sure it taste better too! Yours is deliciously seasoned as always and that peanut dipping sauce - just hand me a spoon. Hope you're having a great weekend! 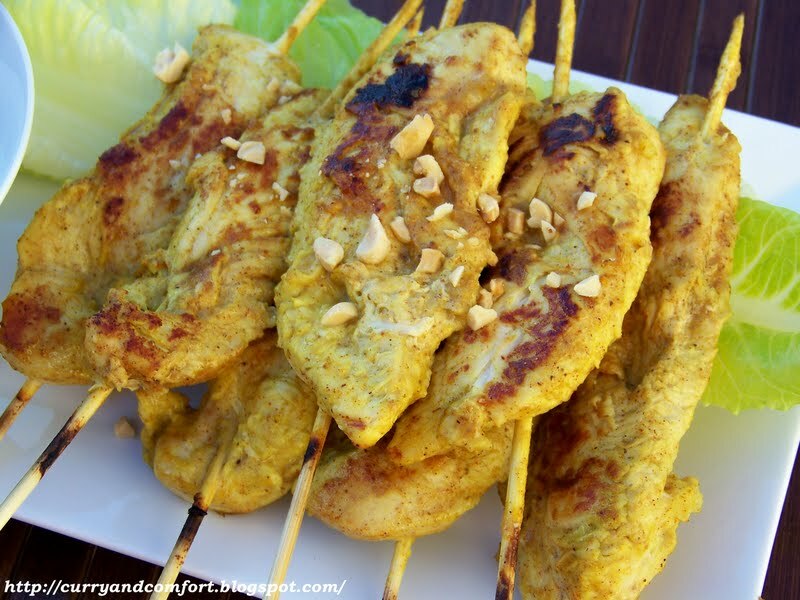 chicken satay is an all time favorite! Its hard to say you made this at home. Looks perfect! I need to try your dipping sauce since I am not very successful with making my own so far. The chicken satay is my kids' favorite and they always love to order this at a restaurant. Hope I can be successful this time! You are on a roll girl, Congratulations!!! Congrats on getting featured on her blog! Though I can't say I'm surprised. Your recipes always looks absolutely amazing and make me feel like I actually could cook with curry heehee. These are no exception - just had some skewers like this at a Thai restaurant with my mom. Wait til I tell her we could make them at home! YUM!! I made something similar for a bridal shower last weekend. congrats on making the top 9!! love all your recipes lady!